In August we took a look at café ergonomics in our How-to Handbook. The goal was to educate current and future retailers on setting up a safe space for their staff and helping baristas mitigate injury. 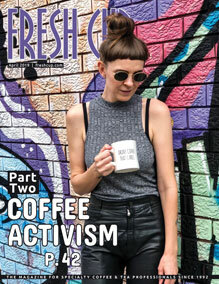 For this issue, we undertook the challenge of isolating and defining the myriad threats to barista wellness that come with the job. 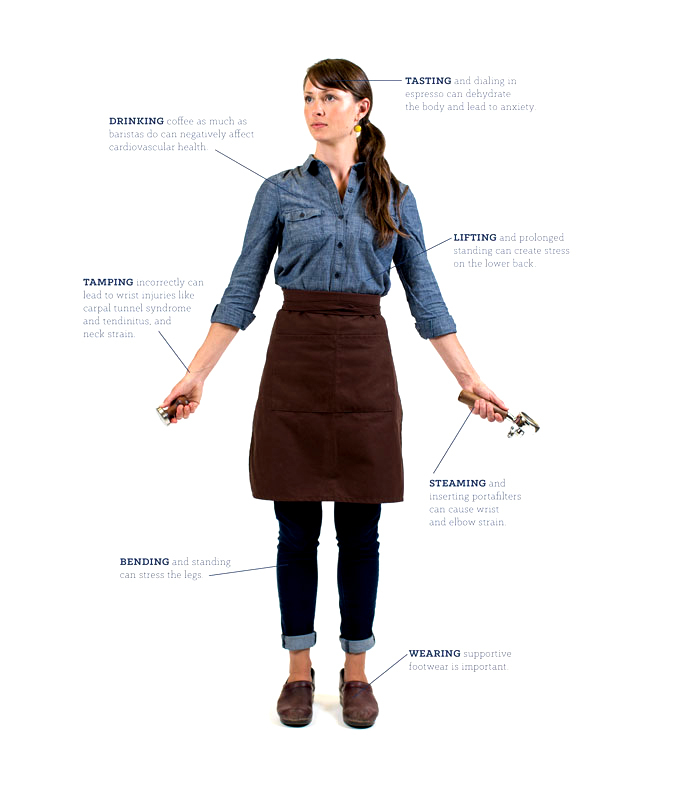 Though most agree that a barista’s work is a refined craft, there remains mystery in regards to its long-term impacts on the body. It is undeniable it is physically taxing, and usually in subtle ways. At other times, not so subtle. “There are a lot,” she says, referring to the risks of the café, reiterating that tamping is first of mind. Her wrist has long since healed, but understandably, she takes proper form seriously when training new baristas. Today, most trainers do, though that wasn’t always the case. “The biggest issue for baristas is tamping,” says Matt Barahura, manager of James Coffee Company in San Diego. 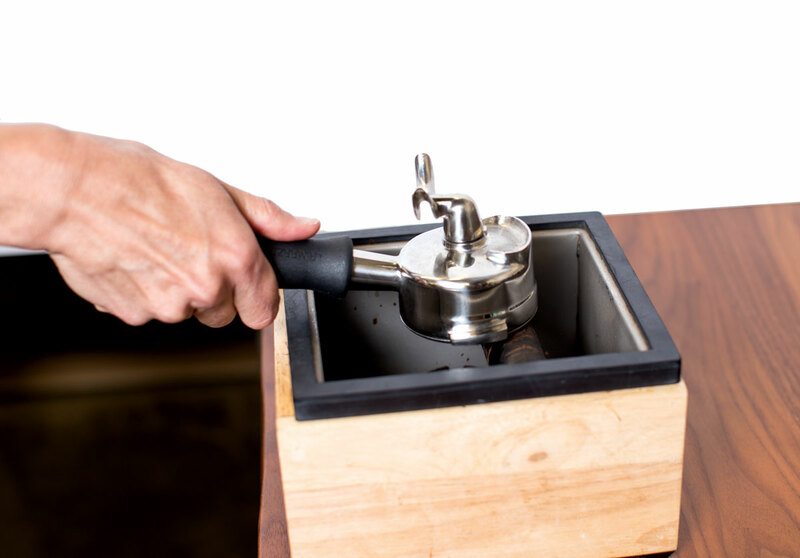 “When done improperly, repetitive tamping can cause pain in the wrist and elbow and eventually lead to more serious repetitive motion injuries.” Barahura, like many baristas, has learned to tamp with his left arm, as not to overstress the right. But more important than that, he says, is day-one barista training. Holding employees to ergonomics standards should be a no-brainer, and not just when it comes to tamping. 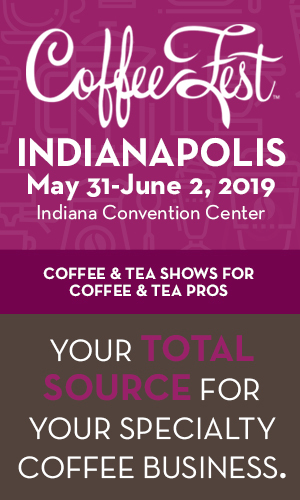 But coffee grew up fast; OSHA standards, for example, while steadfast in most of the service industry, never really made it off the backburner in coffee and tea retail, at least not outside of corporate coffee life. We talk obsessively of accurate extraction, and cafés are built-out meticulously to facilitate customer happiness, increasingly with a level of design detail that staggers. That same detail-oriented attitude could be put to use predicting a long list of potential problems for the staff that inhabits those beautiful shops. Usually, it is not; or, if it is, it begins and ends with tamping. So, enough finger-wagging. What can baristas, managers, and café owners do to protect those who so admirably steward coffee to the consumer? First off, train. A book could be written on ergonomic espresso making. That means a substantial amount of time should be spent behind the bar with new staff members, whether seasoned or novice baristas, ensuring they tamp smart (gripping the tamper as they would a doorknob or flashlight, not with a “tigerclaw”), steam smart (“good steaming doesn’t require a lot of wrist movement on the barista’s part,” says LittleJohn), and lift and bend smart (from the legs, and as little as possible). 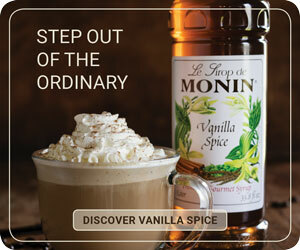 It’s one thing to be able to make tasty espresso. If that’s the primary focus, your staff could be talented, but out of commission soon with sore wrists and cricked necks. Second, design for wellness. There are lots of tiny ways to streamline a café to the advantage of its workers, but some big ergonomic decisions include where to put the fridge (under-counter fridges require more bending, counter or waist-height are more easily accessible); where to put anti-fatigue mats, and what kind to get (baristas stand for hours, which stresses the back and legs); bar size (baristas shouldn’t have to exhaust themselves reaching and crouching, or moving between stations—everything for drink creation should be in arm’s reach); counter height (is it appropriate for your taller baristas but not the shorter ones? Is there a healthy middle? ); and, acoustics. Don’t underestimate that last one; cafés are noisy. Don’t build out a space that echoes back every portafilter dump and order call, and regulate music volume. Six hours of auditory chaos is a strain on a barista’s eardrums and nerves. Third, communicate with staff regularly. Safety training is only the beginning of keeping staff healthy. Monitoring your baristas is about exposing their palates to exciting new flavors; it’s also about recommending ergonomic footwear, sending staff home if they come to work sick or in shorts (two-hundred degree burns are no joke), and discouraging espresso-making flair (spinning the portafilter looks cool, but wrists and arms won’t thank you later for that trick). Communication has to be a two-way street; listening to staff feedback on how things are running, and how they feel at the end of a long shift, is the best tool for keeping them—and your business—healthy and happy. Lastly, a strategy that is simple yet important for avoiding injury is job rotation. It’s exactly what it sounds like. LittleJohn recommends rotating baristas through tasks every two to three hours, or about halfway through their shift. This prevents espresso-making muscles, for example, from getting over-worked, and helps deal with the emotional toll of working at a busy register. No employee should carry the burden of any one task. In fact, all roles should be accessible to all of your employees. If a heavy bucket of spent grounds can only be lifted by the barista who also rock climbs, the bucket is too big. Similarly, your all-star cheerleader of a barista might be beloved by your regulars, but that shouldn’t obligate him to handle orders for six hours. LittleJohn and I discussed a lot of neat hacks for barista wellness (find those under “Ergonomic Tricks”), and some dreams. 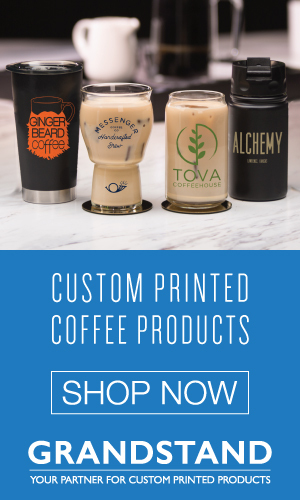 Lighter portafilters, for example. Milk dispensers (more popular in Europe and Australia), and height-adjustable espresso stations (for an example check out Four Barrel’s Valencia Street location). 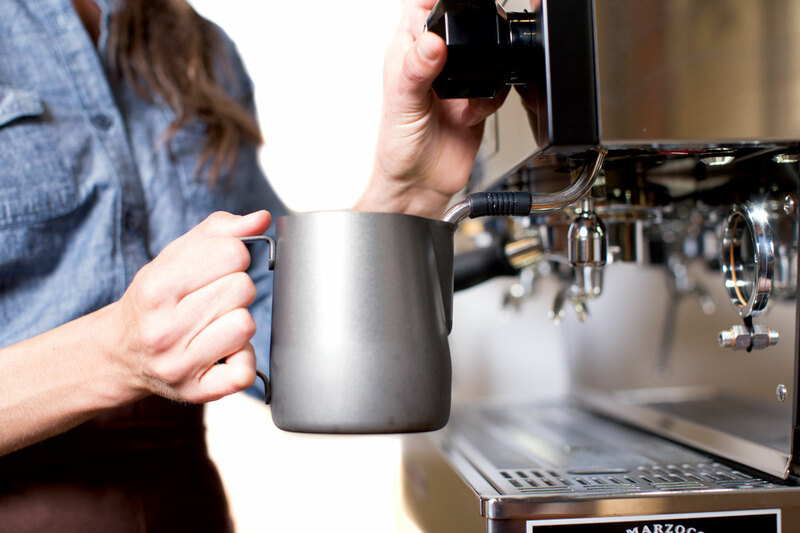 If the upswing in ergonomic tampers, espresso machines, and steaming equipment is any indication, our industry may be headed in that direction. At the very least, the risk of not heeding ergonomic advice is better understood than ever before. As career baristas who got their starts in the nineties age, and their muscles fight back, we’re wising up. Some of your baristas might be working in coffee while they finish their education. Others might be competition baristas or aspiring roasters. Regardless of their trajectory, trainers and managers do them a disservice by not considering the latent physical effects of their jobs. OSHA’s restaurant standards are a great place to begin your education (and go over issues we haven’t here, like knife-handling), but ultimately it is coffee bar veterans who know the most about what can go wrong. Seek them out, and take a look at our barista chart to better understand where the physical risks lie.